I know I am not the only Pinterest addict out there! Its like being in another world once you have a cup of coffee and get to pinning. I have always loved photography and am the type of person who keeps article clippings, recipe cards and cute stuff I see neatly kept in a binder or folder. Pinterest is like the oh I should have thought of that site! Its catching on quick. I like to see what my family and close friends pin. Its like peeking into their thoughts. I even found things that are a reflection of my dorky side. 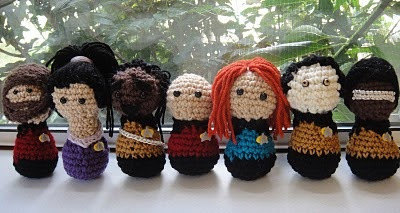 Such as crochet Star Trek characters. Now how cool is that! 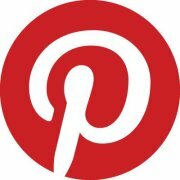 lol So join us at Frugal Family Tree and our new venture Popcorn and Pearls on Pinterest and get to pinning. Or as some might say Pin Me Up Scotty!